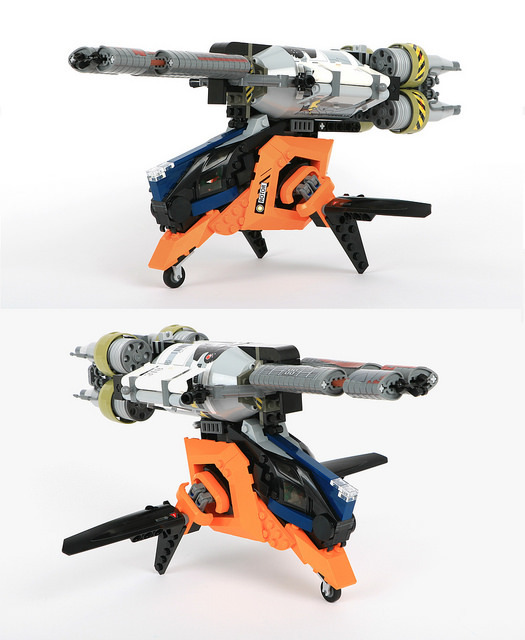 There is a certain type of LEGO builder who never runs out of ideas and concepts. Adrian Florea is one of them. When you’ve seen hundreds, thousands of brick-built starships and nothing excites you anymore, you visit Adrian’s photostream and — surprise! — here’s a new one, even more bizarre and alien than any other. And the longer you stare at the picture, the less sure you are about how this pretty ugly thing grabbed all of your attention. The only thing that bothers me right now — where can I sign up for a ride?